ICELAND. Reykjavik. 2007. 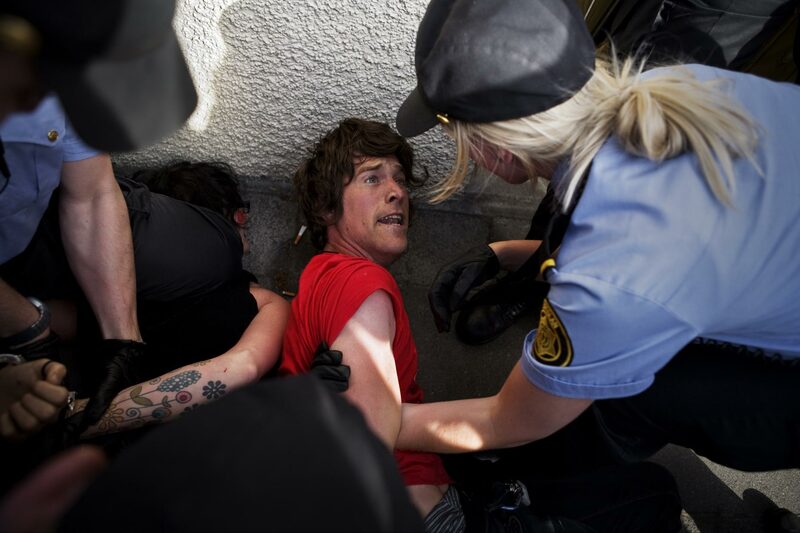 An environmental activist being held on the ground by the police. The activists took part in an anti-industrialization protest in central Reykjavik.